The was the last month of my travel season and I was exhausted most of the time. In my spare time, I often sat and stared blankly into space instead of reading or doing anything else productive. I finished a few books, but not as many as I usually do. An even shorter book than the others I've read in this adventure series for young boys. A quick evening's listen. This was a recommendation from a new book buddy. It's set in Connecticut, not far from me, and I always like saying "Dude, I've totally been there!" about places in books (even more fun when it is in Moscow). I enjoyed falling in love with Manny. I never read this when it was published. How did that happen? Could you hear me read this? Because my head totally exploded. I kept fist pumping and agreeing "Yes!" while I was listening to this book. I will buy this book, mark it up, and read it again and again. This is the first Lisbeth Salander novel written after the death of Stieg Larsson. I have been waiting for my turn at the library since this book was released. To say I was excited to read this book would be an understatment. This book was good, but not as gripping as the original three in the series. The author tried for the dark tone of the other novels, but couldn't pull it off. It is obvious that the author is planning to continue this series because the book felt unfinished. I will read his future books, but I will miss Stieg Larsson. This isn't another story of Brian; it is instead the story of Sam, a 13 year old frontier boy who rescues his family during the American Revolution. Gary Paulsen has a way of writing short, fast, adventure novels for/about teenage boys. I'm not his intended audience, but I will read every book of his in the library. I'm celebrating the release of the Harry Potter audiobooks on Audible by reading through them all. 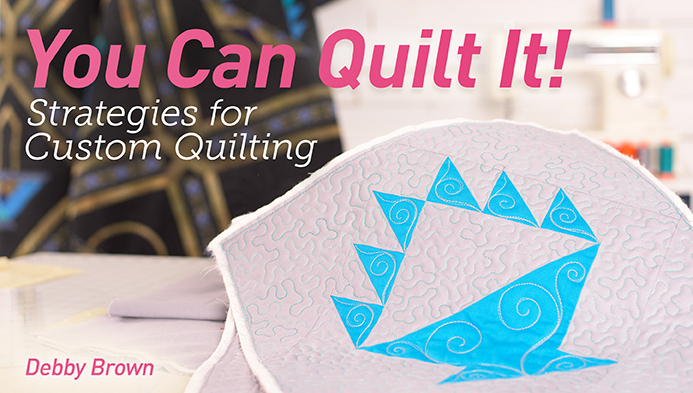 These are great quilting books: like quilting with old friends. Because I watched seasons 1-9 about 6 times already. I think I like this and I'm dying to know where Donald Sutherland's character is supposed to be from. The shop owner, Liz, is completely adorable, the students are divine, the classes are going great, and yet I'm looking forward to the end of this event, just a little bit. You see, this is my last teaching trip of 2015. I will drive home on Monday and then spend 42 fabulous days at home. Forty two. F O R T Y T W O. I can't remember the last time I spent 42 consecutive days at home. It's likely been years. Years and years and years. My head is spinning with the possibilities. Oh, the things I could do. The things I should do! I don't want to hit the road in January and say "Hey, I watched tons of Netflix and slept in a lot." Obviously I will drink a lot of tea and read a lot of books, but after that I want something to show for this time at home. What are some of the things I could/should do? What would YOU do if your time at home was as limited as mine? Don't you love this? I might actually be getting the hang of the paper-piecing thing. In the quilt world, October is a strange month. It is a busy! exciting! month where everything happens. It is also a busy month where industry professionals survive on too little sleep and too much caffeine and keep saying "I'll sleep in November." My October started with a teaching trip to Spring Water Designs in Columbia, MD. The weather was bad, the Ravens beat the Steelers (boo! ), but the students were fantastic! I got the Star-treatment while I was there! I taught a machine quilting retreat at the Quilt Basket in NY. Read all about it here. I worked at home for a few more days getting ready for Quilt Market where I was so excited to be involved with some new products. Give me a few days to get my online store up and running with these items, ok? I was sad to see the month end and the skies above Houston wept for me, dumping 5 inches of rain in a matter of minutes/hours causing flash flooding that I got to see up close and personal. Way too up close and personal. The road at my hotel was flooded. This was a blessing because I wasn't in my car on the road when the waters started to rise. Two souls were lost in the flooding on Saturday morning while I was safely trapped in my hotel. I cancelled my first flight and started a long day of cancellation, delay, rebooking, repeat but finally made it home. Dear November, you have a lot to live up to!